Home » Entertainment » Hollywood » Hollywood Buzz » Selma Blair Fired From Anger Management! Will Never Return!! Selma Blair Fired From Anger Management! Will Never Return!! Charlie Sheen has done it, he has got Selma Blair fired from Anger Management. Thfire had earlier reported that Charlie Sheen is trying to get fire Selma Blair. Looks like the attempts by the producers and the co-stars who thought maybe the tempers would come down and Charlie Sheen would somehow drop these matters in the interest of business. Selma Blair’s widely-speculated exit from the FX series became official on Tuesday night, with studio Lionsgate TV announcing in a statement, “We are confirming that Selma Blair will not be returning to Anger Management and we wish her the very best. Sheen reportedly advocated for Blair’s firing, alleging that she complained about working with him. The actress was reportedly unhappy with Sheen’s work ethic, accusing him of arriving late and being unprepared. 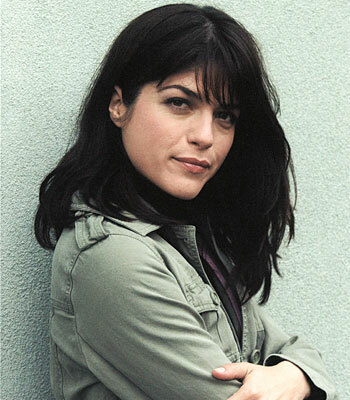 The show will go on without Selma Blair, the filming of it’s 90-episode order will continue without her. If Charlie Sheen has a history of working problems with others, maybe its not the others that are the problem. "Fifty Shades Of Grey" Made Fun of on SNL! Previous: Did Charlie Sheen Try to Fire Selma Blair from ‘Anger Management’? Next: James Gandolfini of ‘The Sopranos’ Dies at 51!